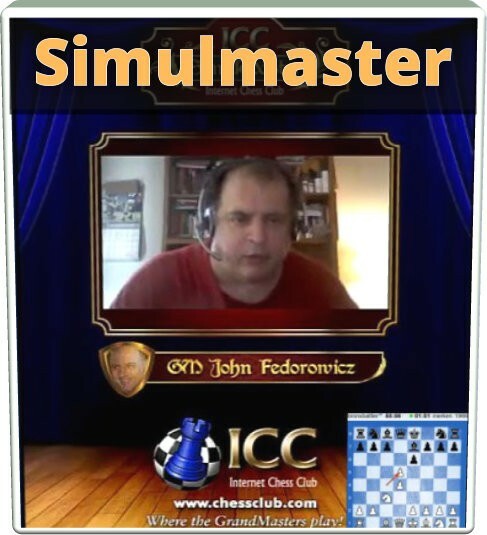 GM John The Fed Fedorowicz had a great Simul this month. He lost only three games, of which one cause of a mouse-slip. John is getting used to the time control; in fact, he found himself ahead of time in most of the games. Beating our GM is becoming a true challenge for ICC members, even those who are used to play simuls and are strong players in general. The three members who mastered the Master are chess24, xionoula and Stone-Castle. Kudos to them!